Posted by Equestrian Australia on 05/04/2016. 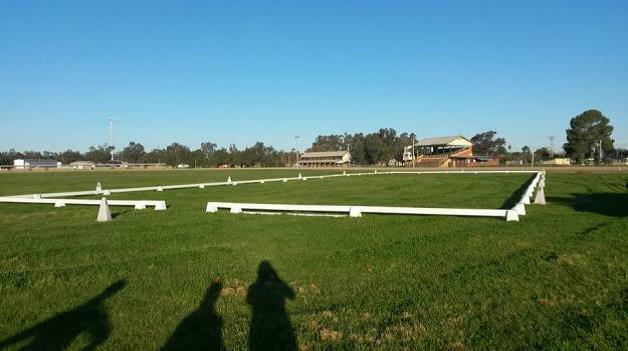 In 2015 Lachlan Valley Equestrian Centre (LVEC) received a grant of $3,000 which it used to purchase a Portable Dressage Arena. The arena allowed the newly formed LVEC Dressage subcommittee to run dressage clinics, training days and competitions at both club events and local equestrian events, as well as hiring the dressage arena to other organisations in the region. Club Secretary Cherie Fahey said since the purchase of the arena, the number of enquiries to the club had increased as has the number of events which could be run by the club. There has also been positive relationship building between beginner and experienced dressage riders within the club.